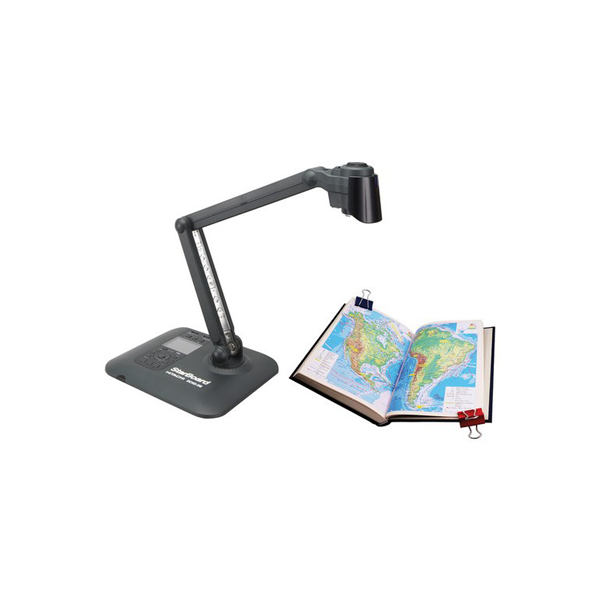 The Hitachi StarBoard DCHD-5M document camera is and effective and efficient teaching tool that enriches lesson planning as well as delivery. It has the capability of making presentations more engaging, exciting and interactive. 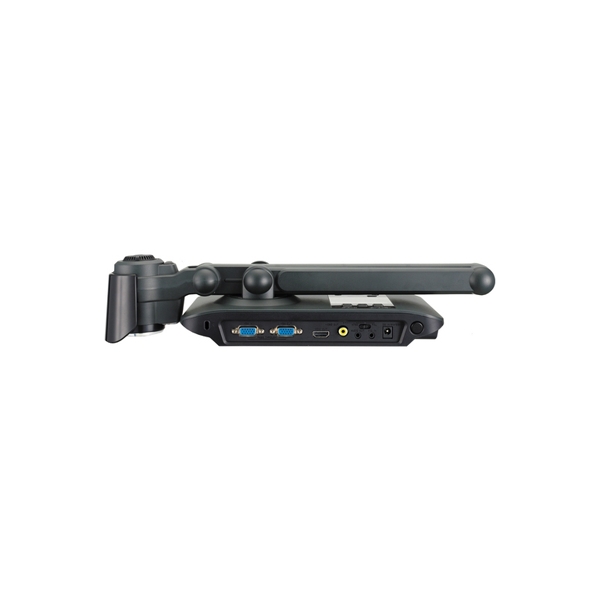 Apart from a dynamic learning experience and the cutting edge hardware features, the DCHD-5M is incorporated with the StarBoard Software which boosts the functionalities of the Hitachi document camera. The StarBoard software has the capability to have a customizable floating toolbar which helps users in accessing the most frequently used tools conveniently. The 5 Megapixel CMOs lens with 4x digital zoom gives stunning images and brilliant video result. With the Hitachi DCHD – 5M, it is impossible to miss even the minutest details of the object. The strong and efficiently built mechanical arm gives users the freedom to rotate it and take pictures on their preferred angle. The camera can also be folded completely to make it more portable. The Document Camera is extremely convenient to use and allows users to control it from the distance with its powerful remote control. With the StarBoard software, DCHD-5M document camera has the ability to illustrate, annotate, browse and import PowerPoint, Word, PDF, JPEG and other formats directly into StarBoard and bring them to life with a rich palette of digital inks and other interactive features. Q: Can I connect my Hitachi StarBoard DCHD-5M Document Camera with a computer? A: Yes, you can connect the camera by either using a USB or a HDMI cable. 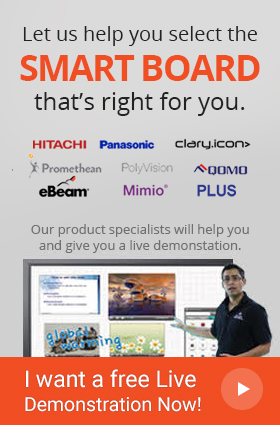 Q: Which operating systems are compatible with StarBoard DCHD-5M Document Camera? A: The camera is compatible with almost all of the contemporary operating systems such as Windows, Mac, Linux, etc. Q: Does the Camera come with audio / video recording function? A: Yes, the StarBoard DCHD-5M camera comes with an A/V function. Q: Can the camera operate in a poorly lit room? A: The Hitachi Starboard Camera has a built – in LED that ensures consistency in terms of quality under all conditions. Q: How can I change the angle of the camera? A: The StarBoard DCHD-5M camera has a flexible neck that pivots at 3 points, allowing users complete freedom of selecting their preferred angle.